“We have seen a 150% increase in migration flows on the western Mediterranean route this year, and we have decided to strengthen our actions to curb these flows, especially with Morocco,” Federica Mogherini told reporters after the Foreign Affairs Council meeting in Brussels. 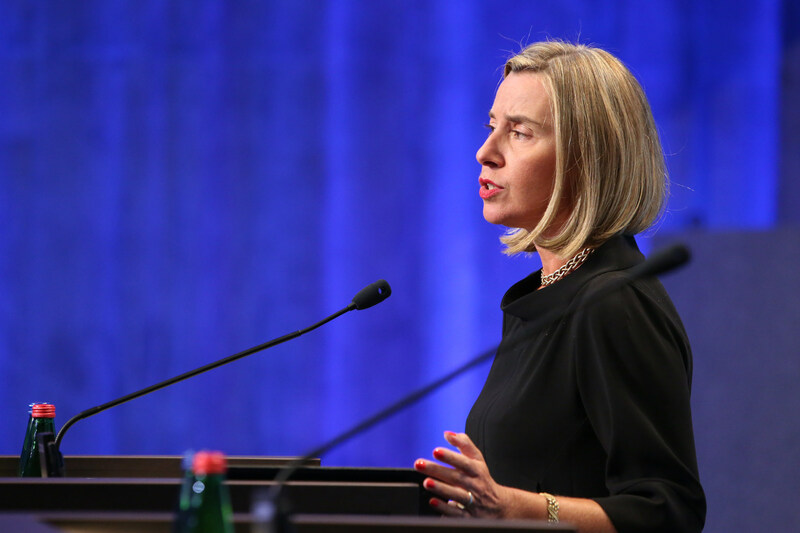 The European Union’s high representative for foreign affairs, Federica Mogherini, has called on the EU to develop cooperation with Morocco to curb migratory flows along the western Mediterranean route. She was speaking at the Foreign Affairs Council meeting in Brussels on October 15. “We have seen a 150% increase in migration flows on the western Mediterranean route this year, and we have decided to strengthen our actions to curb these flows, especially with Morocco,” she told reporters after the meeting. Mogherini also mentioned the EU Emergency Trust Fund (EUTF for Africa). She said: “I made an appeal to member states to contribute more to the Trust Fund and also to focus on new ways in which we can address the shifting of migration routes elsewhere from the Central Mediterranean one”. As reported by Morocco World News, the announcement came a month after Khalid Zerouali, Morocco’s director of immigration and border surveillance, gave an interview regarding an increase in irregular immigration attempts. He stated that Morocco has aborted approximately 65,000 attempts annually since 2016. He explained it was a notable increase from the annual average of 32,000 recorded between 2003 and 2015. The declaration of further cooperation came after reports surfaced earlier this month that Spain has lobbied the EU on Morocco’s behalf for more resources to deal with irregular immigration. In a separate report, Yabiladi.com noted that an EU delegation of senior officials arrived in Morocco on October 17 for a two-day visit. The delegation is expected to evaluate the additional help the Kingdom needs to manage the migration crisis. According to the North Africa Post, Morocco recently reiterated its refusal to host migrant detention centres (known as disembarkation platforms) to allow the EU to “externalise” its asylum and migration policies. Last month, the EU launched formal talks with Egypt over how Cairo can help curb migration from the region in exchange for financial support.